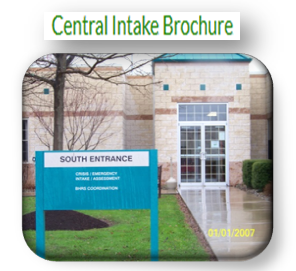 The Central Intake Unit (CIU) of the Mercer County Behavioral Health Commission is the gatekeeper and point of contact for individuals in need of substance abuse, mental health, and/or intellectual disabilities services. The CIU is responsible for the intake, assessment, and level of service determination for individuals seeking these publically funded behavioral health services. The purpose of the telephone intake process is to gather enough information and data to support criteria for different levels of care for services and treatment offered by various contracted treatment providers. The assessment process is conducted to ensure that individuals with D&A/MH/ID issues have access to services in a full continuum of care by identifying, referring, and authorizing appropriate levels of care. The assessment consists of a face-to-face interview. If the individual is identified as needing services, a full continuum of care is available through local and state wide contracted providers. The MCBHC/CIU receives referrals from numerous sources, including, but not limited to, the Mercer County Court of Common Pleas and its related departments including Adult Probation & Parole, Juvenile Probation, Children and Youth Services, and Mercer County District Justices, and IPP/TASC. Other referral sources include schools, treatment providers, physicians, parents, and self referrals. The CIU continues to collaborate with the Mercer County Court Administrator’s office for the intake and assessment of individuals charged in Mercer County with Driving Under the Influence (DUI). The MCBHC makes available 19 appointments each week for this population. The MCBHC/CIU provides preferential services to pregnant injection drug users, pregnant substance users, injection drug users, women with children, adolescents, intravenous drug users, and individuals actively experiencing withdrawal symptoms. These populations are offered appointments within 24 hours of their telephone intake. All other non-emergency referrals for services are offered an appointment within 72 hours of the intake. Site Based Drug and Alcohol Case Coordination is an individualized, client-care service designed for individuals with addictive disorders who have ancillary needs but not necessarily to the intensity level of Field Based Services. A Non-Treatment Needs Assessment will occur within defined time frames to assist individuals in accessing needed services and resources. Activities include linking individuals to referral services within the community as well as support systems that may be needed. A Site Based DA Case Coordinator will ensure that all needs are adequately addressed before closing the service. Click on the image for the brochure.